Shrimp paste is not only made from shrimp. Small fish, small prawn and krill can be used to make shrimp paste. 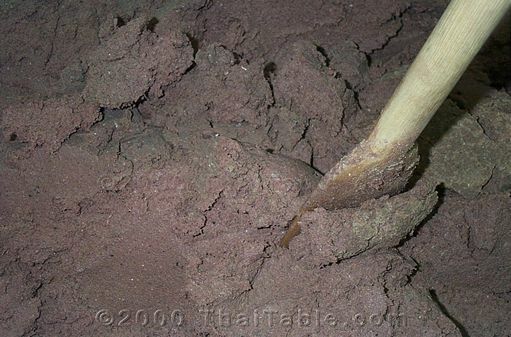 Shrimp paste is made by mixing salt with either shrimp or fish or both. The mixture is stored overnight and drained and sun dried. The dried mixture is ground and packed in an earthen container. The shrimp paste that you can find in an Asian market comes in a plastic container. Scoop out the wax on top of the jar. I think the wax prevents the pungent smell from escaping. A good shrimp paste should be dark deep purple almost brown in color. It should be smooth and pasty on the dry side.